Your Stories Can Make People Smile! 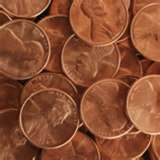 The best part about PennyFinding is the related stories and lessons! Grab your PennyFinders journal, and submit your favorite. It can be funny, inspirational, touching, a lesson learned, whatever the topic, we want it! The best stories will be shared on this site! Email your story to: PennyFinders@gmail.com and put "Here's My Story" in the subject heading. Here are Some Favorite Stories! Someone's Day - Add Joy!